Obituary Notice for Joyce (Dunbar) Pratt | Pepper Funeral Homes & Cremation Facility, Inc.
Joyce D. Pratt, 84, of Troy, PA was called home to Heaven by her Lord and Savior on Monday morning, March 25, 2019 from the Robert Packer Hospital in Sayre. Born in Checkerville, PA, August 23, 1934, Joyce was a daughter of the late Ralph and Evelyn (Wood) Dunbar. She was a graduate of the class of 1953 from Troy High School. On Oct. 11, 1953, she married C. Richard Pratt in the Bakersburg Community Church. Joyce possessed a strong work ethic all her life. She was employed at Canton’s Swayze Folding Box Company for 23 years and retired upon it closure in 1996. Joyce was active in many organizations including: East Canton Baptist Union Grange, Pomona Grange, State Grange, National Grange, was a Past Matron of Golden Rod Rebecca Lodge and volunteered for the Area Agency of Aging. She enjoyed crocheting and reading. 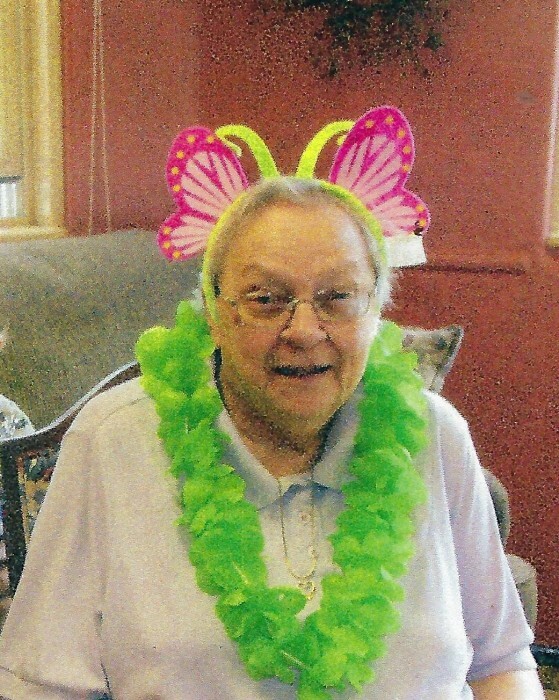 She cherished times shared with her family and attending her grandchildren’s sporting and school events. Surviving are her children; Wayne E. (Claire) Pratt of Granville Summit and Linda L. Fulford of Williamsport, six grandchildren; Vernon C. Sager II of Columbia Cross Roads, Christopher B. (Daphne) Sager of Ridgebury, Scott (Maggie) Pratt of Granville Summit, Abram Fulford of Troy, Joseph Fulford of Towanda and Caitlin (Chance) Wright of Troy, great grandchildren; Sophia Wright and Parker Pratt, sisters; Doris (Robert) Sherman and Harriet Raub all of Troy, a brother; Lloyd Dunbar of East Smithfield, brother in law; Gerald (Marjorie) Pratt of Granville Summit, sister in law; Dorothy (Larry) Stone of Canton and Paul (Patty) Pratt of Burgettstown, as well as several nieces, nephews, cousins and many dear friends and neighbors. Besides her parents and beloved husband, Richard of 65 years. Joyce was predeceased by her brothers; Thomas Dunbar, Harry "Pete" Dunbar, Ralph Dunbar, Jr., and Wayne Dunbar, two sisters in law; Linda Dunbar, Evelyn Dunbar, brother-in-law, Miles B. Pratt, and a son-in-law; Robert Brown Fulford III. A family graveside service will be held 11 a.m. Thursday, March 28th, in the Bradford County Memorial Park, Luther's Mills, Pa., with her Pastor, John Lattimer officiating. There are no calling hours. The Pepper Funeral Home & Cremation Facility, 578 Springbrook Dr. Canton is assisting the family with arrangements. In lieu of flowers, those who wish may consider a donation in Mrs. Pratt’s name to the Faith Baptist Church, c/o 2307 Southside Rd. Canton, PA 17724.